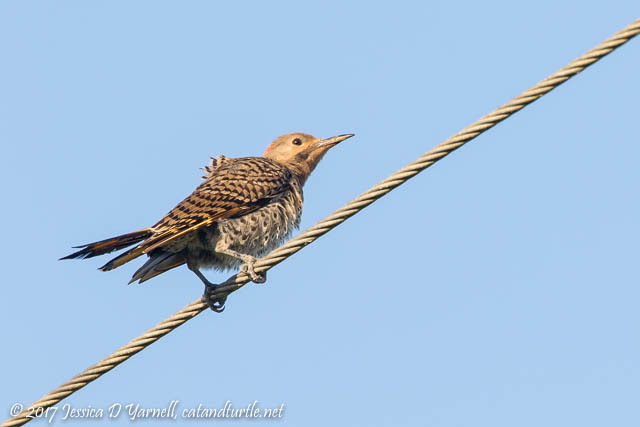 As I turned into the Crazy U, I spotted a juvenile Northern Flicker on the power line. A few weeks ago, I saw the parents in the same place. It was my first juvie flicker. He’s cute! 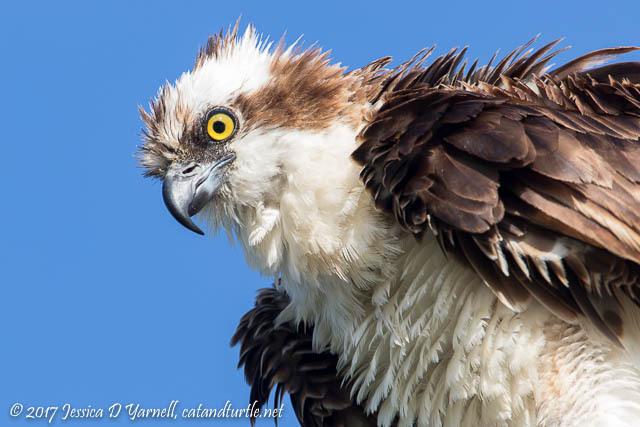 I don’t normally photograph the Osprey right above my head, but when he puffs up and shakes his feathers, well, he’s pretty. He did me a favor and didn’t poop on me. 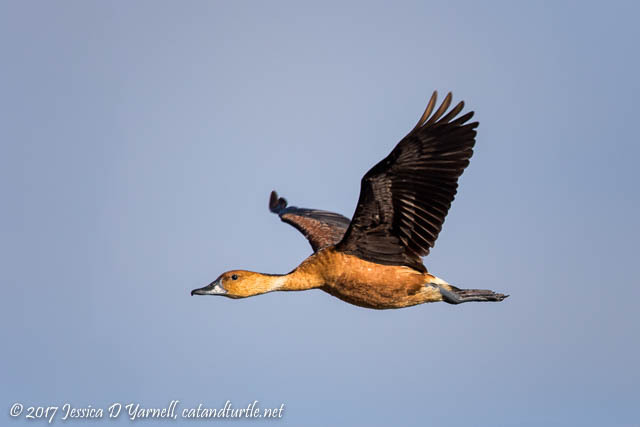 Fulvous Whistling Ducks kept flying overhead. Often they stay far away, so it was fun to get some closer shots. They don’t have the same happy laugh as their black-bellied cousins, but I still like photographing them. 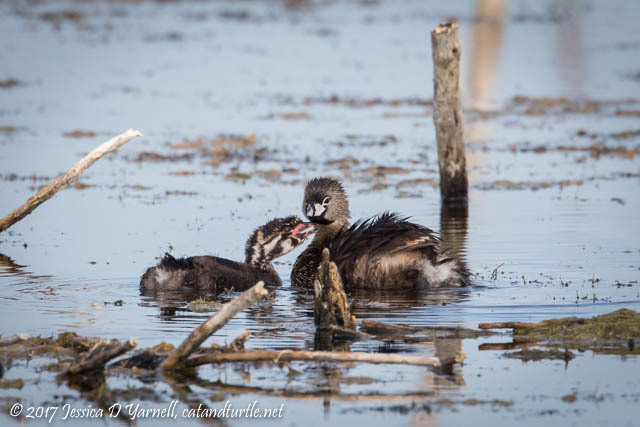 I checked on the Pied-billed Grebe babies. Except they are not really babies anymore! 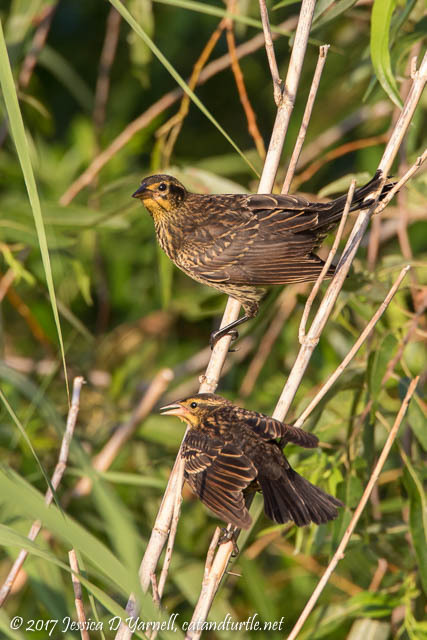 The juvenile birds are almost as big as Mom and Dad. One juvie was off to himself. The other was nagging Mom for breakfast. They were still doing their baby chirping call that you can hear from a long distance away. …and got a few (hundred) head shots! It’s interesting to review these types of images on a computer. 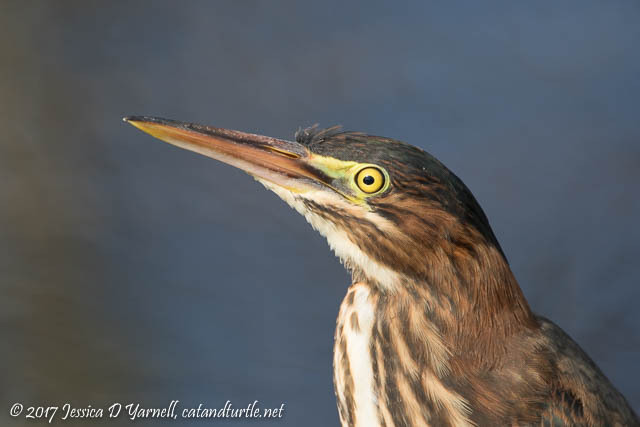 As you move from frame to frame, you notice the minuscule motions in the bird’s beak, eyes, and head. They are such good hunters, always on the lookout for food. 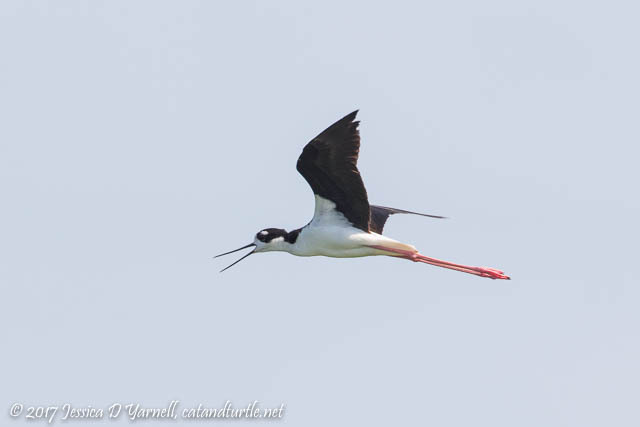 Someone else is always on the lookout – the Black-necked Stilts are watching for people who might be coming near their nests! I happened across a stilt sitting in the middle of the road. He was ok, just resting. I got out a good distance away to take a few photos. Then he noticed me and decided to bolt. I saw lots of flying birds that morning, but one of my favorites hasn’t learned to fly yet. Or at least, he’s not practicing much. 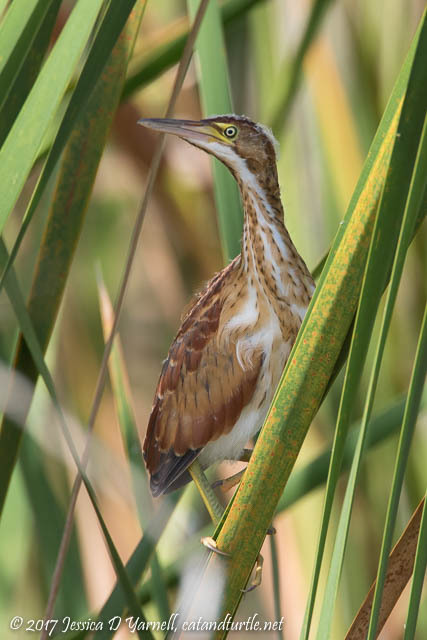 Meet one of the many juvenile Least Bitterns at the wildlife drive. It seems like it’s a bit harder to find bitterns these days, but if you peer into enough clumps of reeds, they are definitely still there. 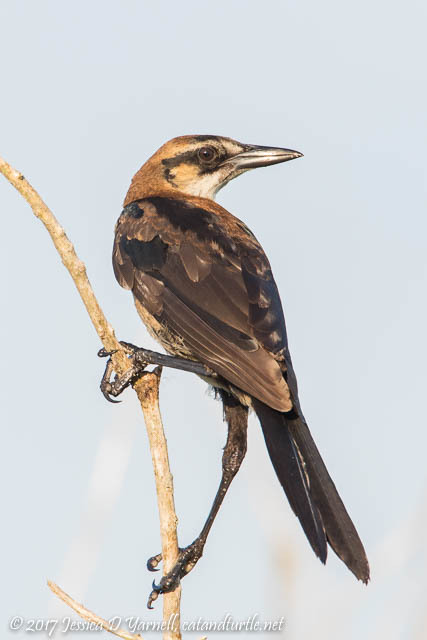 The juvies often have patches of white downy feathers. So cute! So that was the end of another visit to the Lake Apopka Wildlife Drive. I love how close it is and how often I get to go visit. 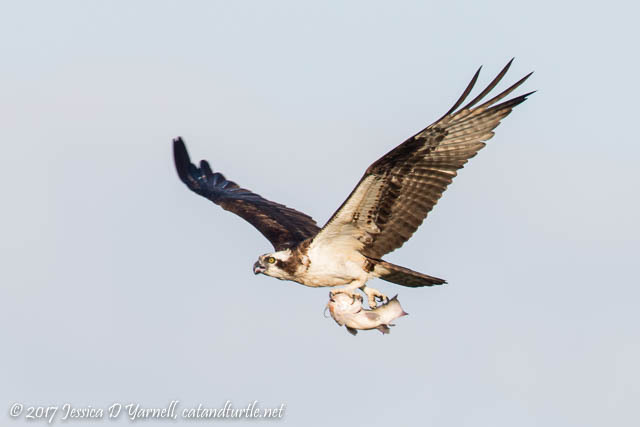 It’s fun following the wildlife stories from week to week. You always get a surprise when you’re there! 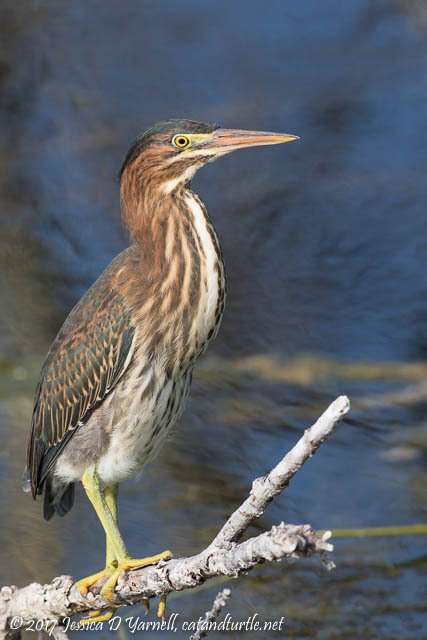 Seriously, you didn’t think you’d seen the last of the Green Heron, did you? 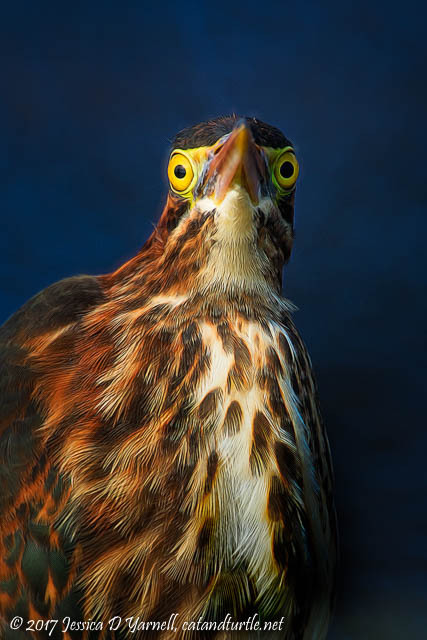 Here is a fixed gaze staring straight at you! Have a good day, everybody!